A full belly is on tap when you hand out the Burgers and Beer Club Flyer before your next hoppy event. 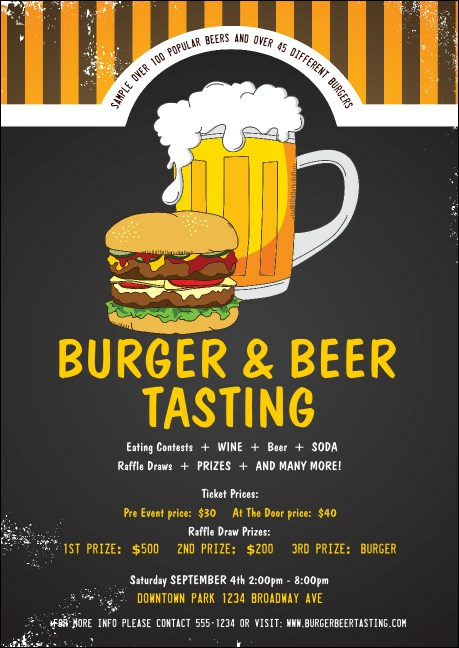 An illustration of a big, sudsy glass of beer sits next to a juicy burger with all the fixings. This yellow and grey vintage-inspired template includes twelve lines for all your event details. Draw a crowd for your foodie gathering with the right flyer from TicketPrinting.com.